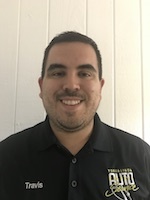 The ASCCA Membership Committee proudly announces Travis Guy of Yorba Linda Auto Service (YLAS) as its ASCCA member of the month for February 2019. ASCCA regularly honors members who go above and beyond in demonstrating ASCCA’s core values of integrity, compassion, professionalism, and unity. Along with these core values, Travis also embodies ASCCA’s core purpose: To elevate and unite automotive professionals and give them voice. The family business, located in Yorba Linda, CA, has been a part of the community for over 30 years and offers automotive repair service on all makes and models. While he started at YLAS with no prior automotive experience, Travis brought his unique skills acquired from 10 years of working in 4 and 5-star hotels and specializes in providing YLAS customers with top-notch customer service. Thank you, Travis, for your ongoing commitment to ASCCA! Our organization and its members have benefited tremendously from your participation, knowledge, and most importantly, your commitment. Congratulations!